Delectable, fudgey double chocolate chip cookies, filled with chocolate chips and crunchy walnuts; super-chocolatey but not too sweet! These tasty bite size cookies are the perfect treat for all you chocolate lovers out there! Chocolate, chocolate chip cookies! They’re maybe the best thing ever… Agree? Disagree? Either way these cookies are pretty terrific and just about perfect with a glass of milk if you ask me! I used orange blossom water and LOVED the depth of flavor it gave the cookies but vanilla or a dash of espresso will work wonderfully! Add an extra 1/4 cup of sugar if you have a serious sweet tooth. Lots of cookies make me feel sick after a few bites as they are just so rich and sugary so I love these as is but some of you definitely want a sweeter treat! Use any of your favorite nuts for these cookies. I prefer pecans or walnuts but the world is your oyster here! I made mini versions with only a teaspoon or dough because I lack portion control and love the crunch but you can make them much larger for a softer chewy center. Preheat the oven to 350 degrees F. (175 degrees C). In a large bowl, beat butter, sugar, eggs and vanilla until it is light and fluffy. Combine the flour, cocoa, baking soda and salt and give it a mix. Stir the flour and cocoa mixture into the but butter mixture until it is well blended. Pour the chocolate chips in the mixture. Roughly chop up the nuts, add them in and mix everything together. Take the dough in tablespoon-sizes, round them up and place onto a cookie sheet. Bake for 8 to 10 minutes. Cool them slightly on the cookie sheet before transferring to a wire rack. 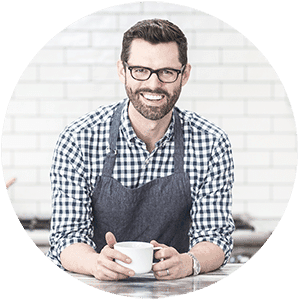 If you’ve tried these chocolate chocolate chip cookies then don’t forget to rate the recipe and let me know how you got on in the comments below, I love hearing from you! 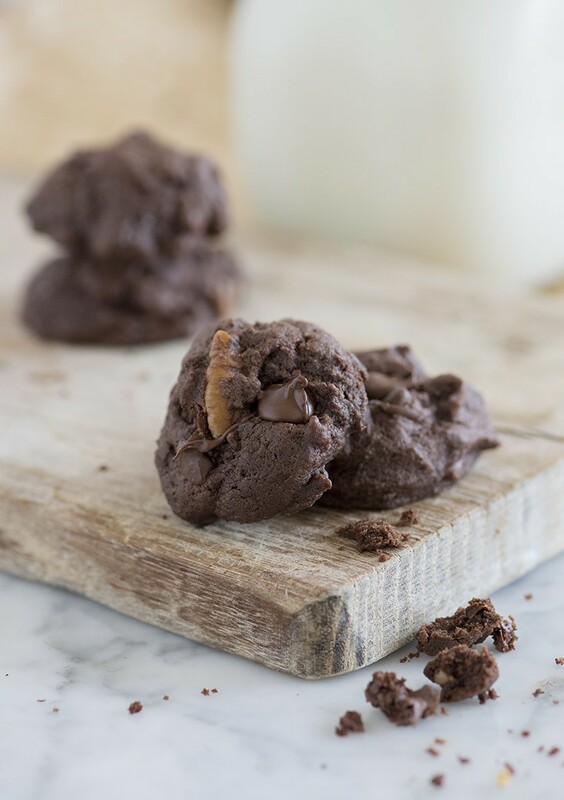 Delectable double chocolate chip cookies, imbedded with chocolate chips and crunchy walnuts. 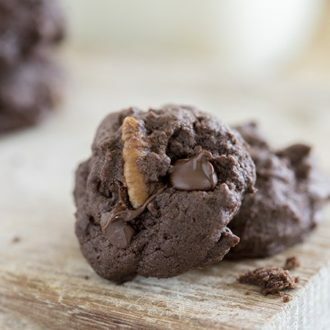 These tasty bite size cookies are the perfect treat for all you chocolate lovers out there! 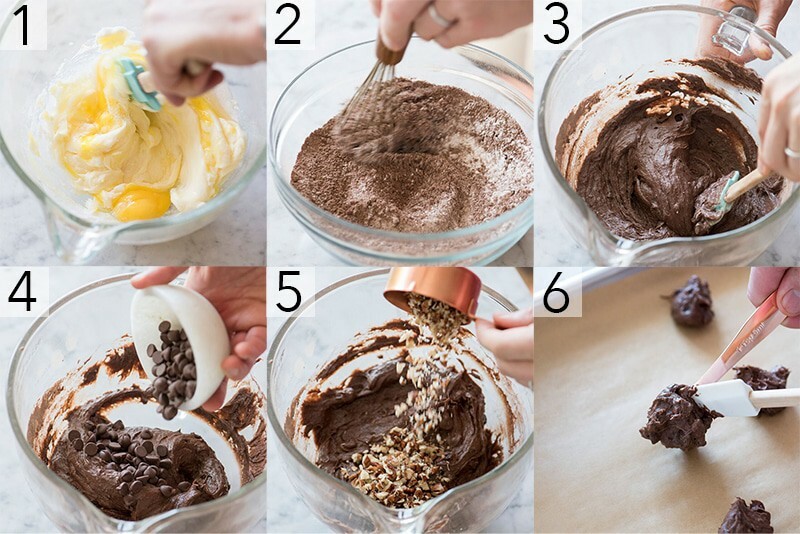 In a large bowl sift together the flour, cocoa, baking soda, and salt; whisk together. Stir dry mixture into the butter mixture until well blended. Mix in the chocolate chips and nuts. Drop by rounded tablespoonfuls onto cookie sheets lined with parchment paper. These cookies are dangerously delicious!!! Thanks for the feedback! I’m glad to hear you tried and enjoyed these cookies! What will you try next?? 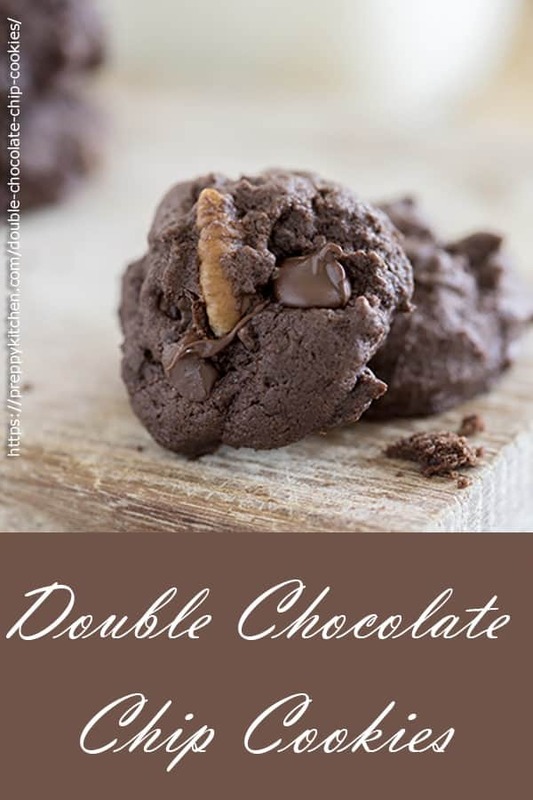 I made these today and substituted peanut butter chips instead of chocolate – they were amazing!!! !